New Delhi: India’s water bodies are dying a slow death. With water pollution on a continuous rise, many major rivers, lakes, beaches of India are in grave danger. Now a 12 member group of engineering students from Kerala have developed a technology that may hold the key to solve one of India’s most imminent problems – water pollution. 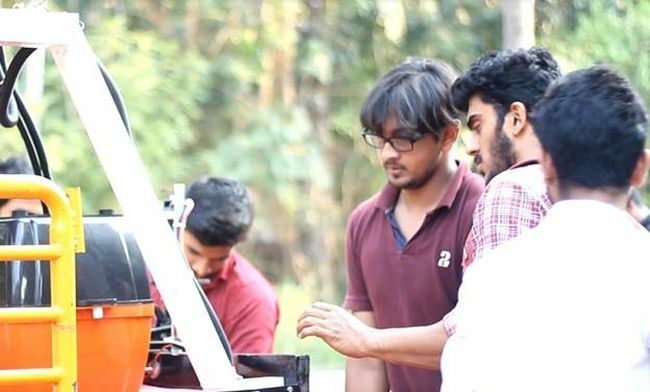 The college students of Cochin College of Engineering and Technology, Valancherry, and MES College of Engineering, Kuttippuram have together developed a first of its kind robotic Fenboat technology in India. It can test the pollution level in rivers and can also identify the source of the pollution in the water body. The Fenboat is capable of collecting around 60 samples of the pollutants from the river in 1 minute. 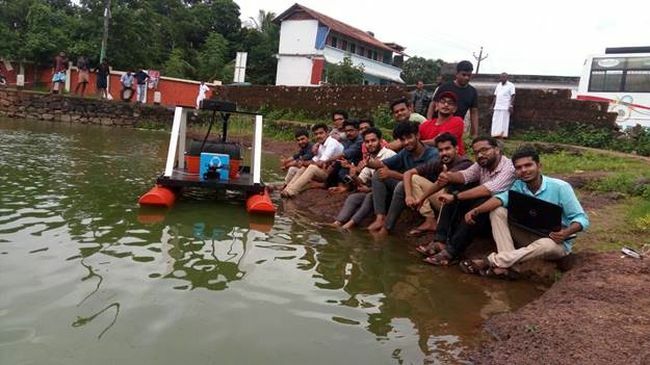 The prototype of the technology has been tested on Poovanchina lake in Puthanathani and in Bharatapuzha River, Kerala and the innovation have already been shared with Pollution Control Board and the Government of India so that they can take this prototype into consideration. We all are Keralites, we have grown up seeing the main river of Kerala – Periyar grows into a mess. Believe it or not, that river changes colours 27 times a year. The reason is simple – it has all the toxic pollution which comes from 20 industries located around it. Moved by the way this river has transformed, the idea struck all of us last year in 2016, that why don’t we make a technology that can actually solve the problem of water pollution and alert the defaulters, says Irfan Vakkayil one of the team members who developed this innovation. After 3 months of rigorous research and studies on India’s water pollution issues and how other countries are resolving their water pollution problems, the swachh warriors set the framework for their project – that was to build a boat which will travel in the waterbody and help the authorities collect data about the river pollution easily. We wanted to come out with a remote-controlled unmanned innovation that will help in the collection of water pollutants sample and help the government in alerting the defaulters of the area quickly. We started talking with lots of experts, especially the people who used to build boats so as to get the design absolutely right for our prototype, added Irfan Vakkayil. 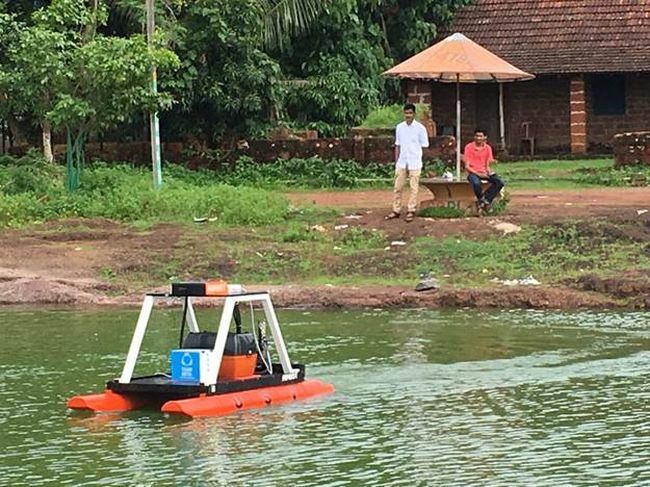 In December 2016, Fenboat was launched and the prototype passed the initial rounds of the test in Kerala recently. Assembled under a budget of ₹2 lakh, the boat has a built-in GPS Device for location tracking and is can track the progress report of the river at various levels – temperature change within the water body, types of water pollutant, the source of pollutants and how it is affecting the marine life. It is also equipped with a GSM module that can send SMSes to the authorities giving out a detailed report, and a camera for taking live photographs. Explaining the ideology behind the design Irfan Vakkayil added, there are two types of pollution in water bodies, one is the floating pollution and that’s solid waste and the other is dissolved waste which no one can see but is very harmful to the environment. We wanted to check on the second type – dissolved pollutant, because, currently, in our country, there is no such technology available that can tell you what type of dissolved pollutants are there in a particular water body and from where it is coming. Our Fenboat does just that. The project is being guided by Muhammed Shamnaz, who is the HOD of Mechanical Department, Cochin College and Arun George, an Ocean Technology expert. The innovators behind Fenboat include Irfan Vakkayil, Sharundas, Sadiq Melethil, AP Shajahan, Prashyam G Nair, Shijith Chelur, E B Parthasarathy, P Abhijith, E P Anand, P Vishnubhargav, K Sharuq and Fasal Ur Rahman. The innovators are currently working on a technology that will help actually cleanup the dirty rivers, lakes and water bodies of India within few days on its own. India will soon have another 1st of its kind of an innovation that will clean heavily polluted water bodies and stabilise the state of the river with the maximum removal of dissolved pollutants like lead, cadmium, mercury, nitrate, phosphate, cyanobacteria, e-coli and other pathogens within the least period of time. We are working on it and will share it with the world soon, signs of Irfan Vakkayil.